Gray wash over graphite slightly touched with white, on paper. Bequest of Gordon N. Ray, 1987. Signed with the brush by the artist at lower right, "G. Morland". From the library of Gordon N. Ray. 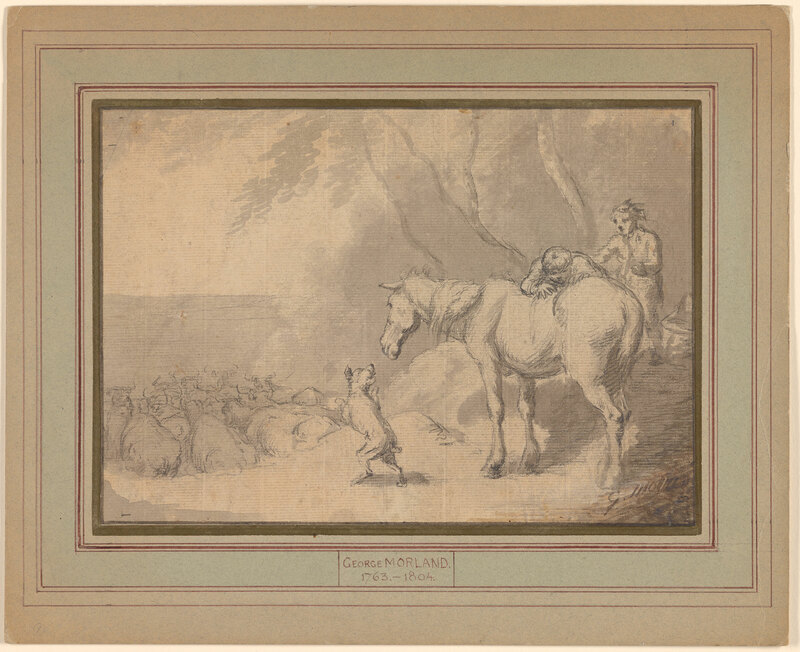 Drawing shows a horse standing at right with two men, one of whom appears to be in the act of climbing onto its back; a dog frisks on its hind legs below the horse's muzzle, and a herd of cattle are shown moving away from the viewer at far left.